Cornwell Tools’ new product, CBPDM200 Automotive DMM with Rapid Auto Range incorporates the new function Rapid Auto Range. This DMM features True RMS accuracy and is designed for advanced automotive troubleshooting. When measuring typical automotive circuits, the effective response rate is much quicker than typical auto ranging DMM’s. This DMM is CAT III 1000V and CAT IV 600V approved, therefore it is safe for use on Hybrid/EV high voltage circuits. In addition, this model is waterproof to IP67 standards and if dropped in water, it floats. CBPDM200 features a large LCD display with 40 segment analog bar graph and bright LED backlighting. 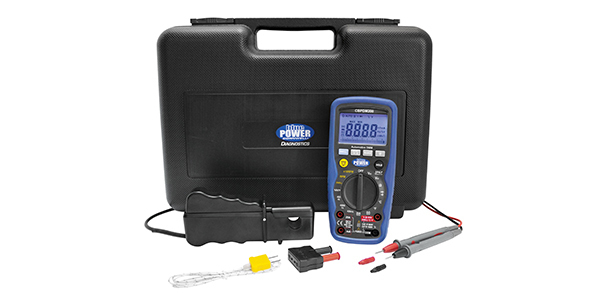 Other noteworthy features include Auto Power-Off and desirable 20 Amp test range (fused). Technicians can use the frequency readings to test crankshaft and camshaft sensors as well as MAF and MAP sensors. 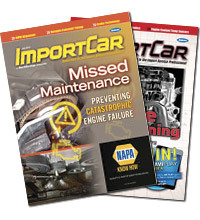 In addition, the duty cycle setting can be used to test feedback carburetors and idle air control motors. CBPDM200 includes the following accessories; High quality test leads, alligator clips, K-type temperature probe, RPM pick-up, blow mould storage case, instructions and battery. Unit comes with one-year warranty. For additional information, visit Cornwell Quality Tools.